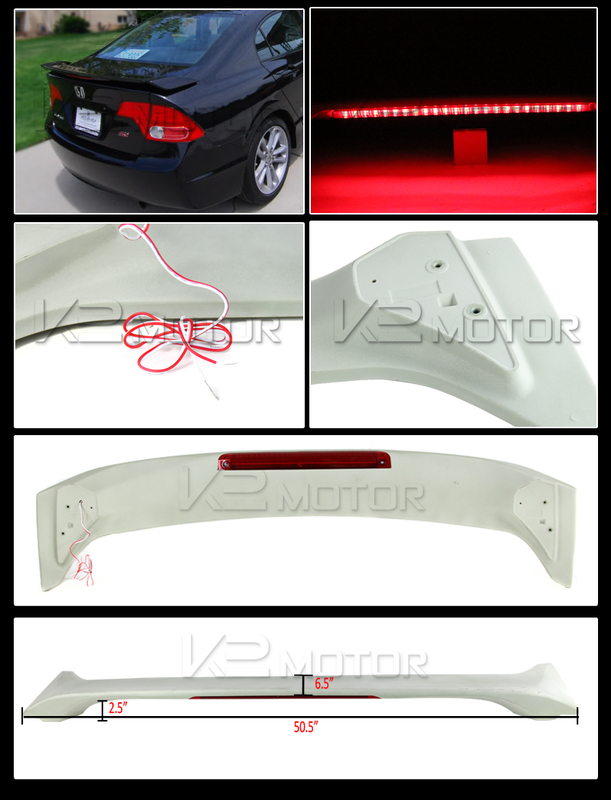 Choose from all the stylish 2006-2011 Honda Civic 4-door OE Style Rear Trunk Spoiler + LED Brake Lights we have offered to you and enjoy the GREAT SAVINGS!! Brand New 2006-2011 Honda Civic 4-door OE Style Rear Trunk Spoiler + LED Brake Lights. Add a stylish look to your car while improving your driving experience. 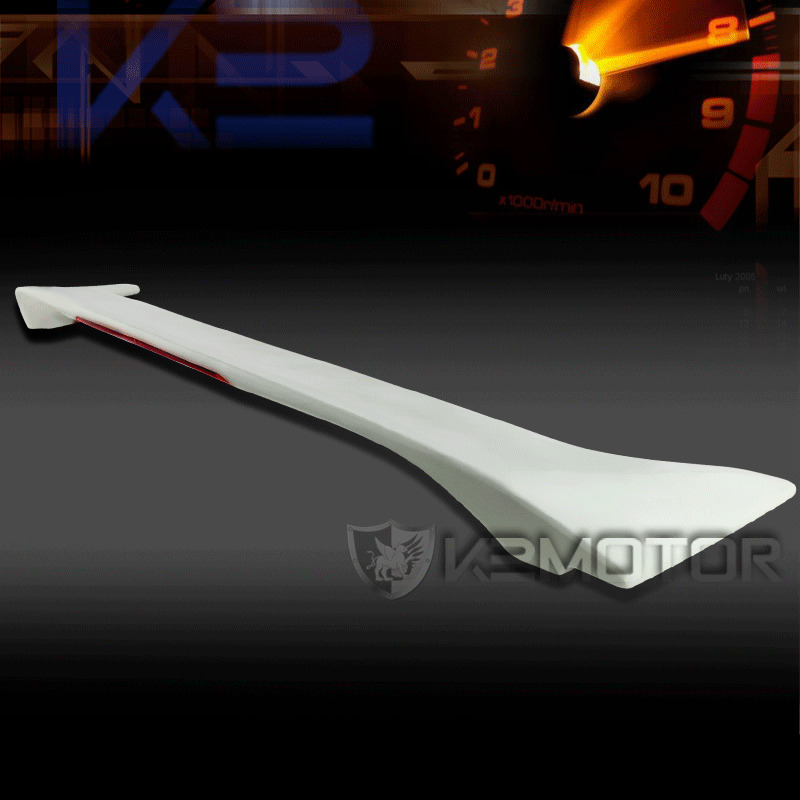 By adding our spoiler it will provide better airflow over and around your car, which in turn creates better grip or traction on the road. Its aggressive look will draw attention to your ride. It allows room for customization because it can be painted to match your car.